Our ServicesStop overpaying by hiring multiple companies, we can do it all! Response time and quality control are our top priorities. As a result, we have limitations on how far we can travel for service requests. Generally we can travel further for projects such as kitchen remodeling, custom building, or commercial construction. 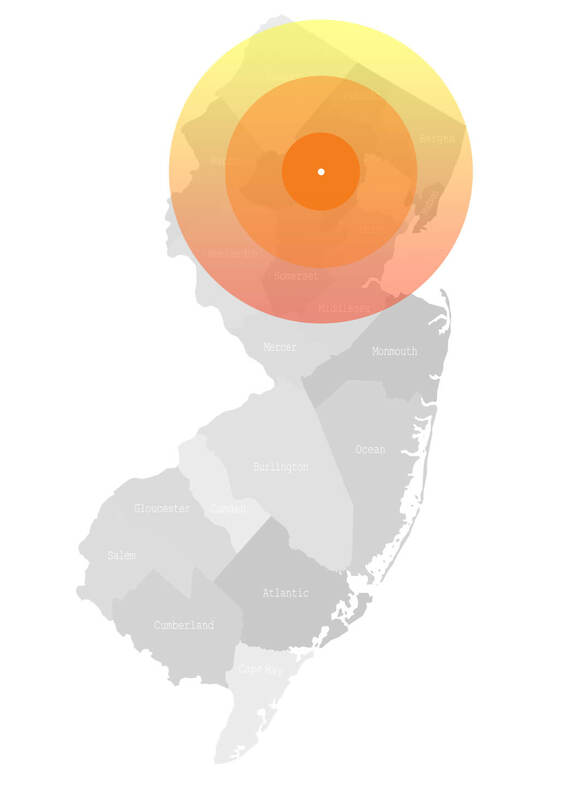 Our Primary Service Areas Include Morris County, Passaic County, and Hudson County. However, keep in mind that we are licensed and capable of working in all of New Jersey and New York. Even if your area is not shown as covered, contact us online or by call (973) 459-4494. If we are working nearby, we will still accommodate your request. We look forward to working together, call us today!